Tiger Leap and Deer Leap are two organizations that coordinate ICT education in partnering countries – Estonia and Georgia. As an additional task i have done this year some surveys and book-writing related to ICT teaching. Today i ended the survey of Georgian ICT use (in english). 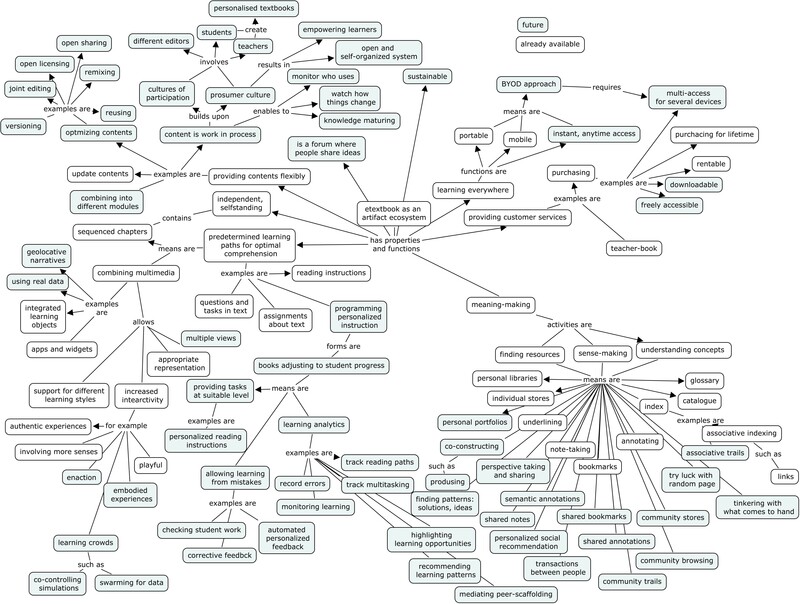 After adding some introduction and inferences part we can hopefully make it available in net. In Estonia the most useful method of implementing ICT into subject lessons for teaching ICT competences is individual projects. Quite some schools use it as a form of exam. We envision that the rising trend of evaluating ICT-competences in Estonia will be portfolio-method. We are currently developing a new distributed learning environment model in which teachers and learner’s individual portfolio and collaborative resource sharing environment will be interoperable and used for various projects like the teacher and students plan. Most interesting trend in Georgian survey was that Georgian teachers are very positive about cooperation and sharing, they are very active in using LeMill.net collaborative sharing environment for learning resources. It seems there is an explosion of collaborative project-based learning in Georgia. Quite a lot of sad results appeared too, in spite of wish to teach ICT, teachers definitely lack of competences what and how to do in their particular subjects. This year we wrote for Estonian teachers a book (in estonian) that is in wiki about various methods, emphasizing especially the Web 2.0 trends. Final meeting will be March 23th (10-14). We have in Tallinn University nice tradition to re-elect researcher positions every 4 years. My position is now recruited and part of getting it back it is to give a report of my last period work. This will be at monday. I have been working in Tallinn University from autumn 2006 with half position working for iCamp project, and from january 2008 at full position. Ecological learning design framework is something what i consider the main work of my last period besides participating in the development of the iCamp intervention model in elearning2.0. 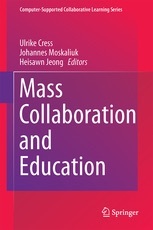 It is based on two papers, one Elaborating connectivism is now fully published as the book chapter, another is published in journal Journal of Educational Technology & Society, 2009, Vol. 12, Issue 3. The main idea is to bring out the ecological learning design framework elements and show how they were applicable at the course design. In the article I pointed to the need for the new learning design frameworks for self-directed learning with social software that were ecological. This learning design emphasizes the following aspects, which were developed and tested empirically. 1. Define the learning and teaching niches for your students by collecting their affordance perceptions of their learning spaces. a)	To support the conscious self-managed development of learner-determined spaces, provide students with the tools of visualizing and monitoring their activity-patterns and learning landscapes, and enhancing public self-reflection and collaborative grounding of learning affordances. b)	To maintain coherence of the current niche, introduce cycles of re-evaluation of learning affordances of the learning space within your course. 2. Try to influence the niche re-emergence by embedding activity traces and ecological knowledge relevant to evoke affordances for certain niches or select activity systems where these traces are naturally present. 3. Use same social learning environments repeatedly to gain from feedback left as activity traces and embodied knowledge of earlier learners. Theoretically, in the self-directed learning process students should be promoted to use their own personal learning environments. Thus, the learning environment as a system of tools and resources cannot be ready when learning starts but has to evolve as part of learners’ self-directed individual and collaborative action process in which facilitator has a guiding role. To run emergent bottom-up courses, facilitators would need to establish some constraints and guidelines for planning the learning process. Rather than composing a list of optional course tools, resources and activities, an abstract learning space might be determined for the course design and made explicit to the learners. This article proposes that learners’ perception of action potentialities of their personal and collaborative learning environments – learning affordances – could be dynamically collected in a bottom up manner during learners’ public planning of their goals, visualization, and self-reflection of their learning activities and learning environments. ii) the reuse of the commonly perceived affordances for environmentally adaptive self-direction. 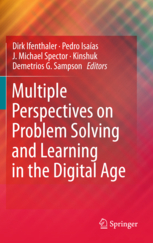 In this study the course for self-directed learning with social software and the ideas of an ecological learning design framework were simultaneously developed. The emergence of the course’s learning space would consist of cycles of developing and monitoring the learning niches. Such dynamical monitoring and grounding of the mutually used learning affordances was possible and practiced during both courses. For this learners’ schemes and reflective postings in their weblogs were used. It is assumed that if some tools were available for learners and facilitator to visualize the niche with less analytical effort during the course of action, this might increase the use of affordances as niche gradients in adaptive shaping of self-directed learning. Knowing the fundamental learning niche characteristics enables to develop particular list of suggested activities and plan appropriate instructions during the course. It was found that students perceived many affordances that are related with planning, reflecting and evaluating personal learning in collaborative social software settings. Potentially these affordances could be further used for activity design. When planning participation at the courses and for choosing tools and resources for personal learning environments, self-directed students might need information of the affordances that a particular course community perceives in relation to certain tools. In this paper the factor analysis brought out that some types of social software might offer a unitary affordance perception possibility while others would evoke different types of affordances. In is assumed that, during the learning activity the latter software would serve as multifunctional for switching from one learning niche to another. I have not analyzed in this paper the particular differences between learning niches (eg. for individual or collaborative activities) that form the learning space, but there is evidence in my other studies that such distinguishable niches appear within the general learning space. 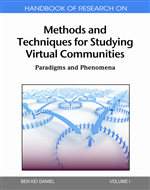 One of the expectations of investigating the course learning space at consequent years was to see if the fundamental learning space for self-directed learning with social software was stabile and potentially replicable while students had a big freedom of using various tools. The ANOVA analyses demonstrated that while the use of different types of social software differed significantly at Cases I and II, the affordances were used with similar frequency at both cases. This permits to conclude that the affordance-based learning space description might be re-used in the course design as a guideline for students and the facilitator, for deciding which affordances should be evoked at the course. Coupling this affordance-based learning space description with the descriptions of the affordances that certain community has activated with certain types of tools, and considering individual perception of affordances of the personal learning environment, enables learners to participate at joint course activities with their own tools. IGI Global has initiated quite some books of Web 2.0 learning issues. Mark J. W. Lee; Catherine McLoughlin (Eds.). 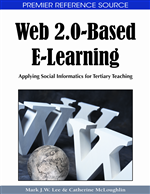 Web 2.0-Based E-Learning: Applying Social Informatics for Tertiary Teaching. IGI Global imprints in 2009. Niki Lambropoulos & Margarida Romero (Eds. ), Educational Social Software for Context-Aware Learning: Collaborative Methods & Human Interaction. IGI Global imprints in 2010. There will be a chapter of my last work in each. You are currently browsing the Taming the spaces blog archives for December, 2008.